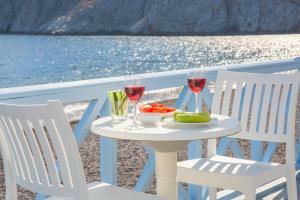 This traditional Cycladic hotel is located on the beach of Kamari, 8 km from Fira, and has a swimming pool. 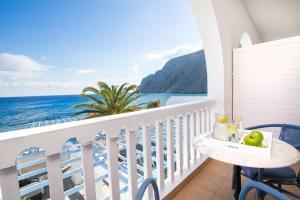 It offers rooms equipped with air conditioning and a balcony. This room features modern decor, high-quality mattresses, air conditioning, a fridge, a flat-screen TV, free Wi-Fi and a balcony. 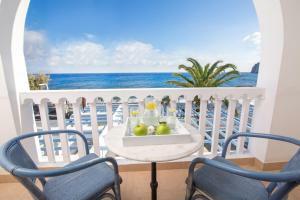 This double room has a balcony, air conditioning and tile / marble floor.